Meet the real people behind your products and systems: IFS World Conference 2013 offers the unique opportunity to meet IFS R&D and applications experts, the people who actually built your products and systems, face-to-face. In our ‘Meet the Experts’ area you can pick the brains of up to 30 IFS R&D experts at around 15 demo and display stands. No one knows IFS Applications better than our experts from R&D, and no one could be happier to share knowledge, tips, techniques and advice with you. Get inspiring insights into your systems, and be ready for anything. Our 2013 Conference offers you networking events specifically customized to your industry and your geographical region, as well as the chance to network with over 1200 global professionals. Industry get-togethers allow you to interact with peers from your own industry. Regional dinners (on the Monday night of the conference) offer you the unique opportunity to network with other people from your region and meet up with your own regional IFS staff. 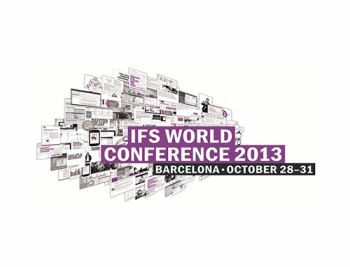 Instead of you traveling the world, IFS World Conference 2013 brings the world to you – in Barcelona. The conference contains the IFS training program, led by our professional trainers. This training session will open your mind to the growth and savings IFS can offer your business and help you further customize and optimize your IFS systems. In today’s complex and fast-moving market continuous training is crucial to get ahead and stay ahead. The best training is a mix of inspiration and perspiration; it’s both imaginative and hands-on. International celebrities, world-class cuisine, Mediterranean wining and dining, a special VIP package and panoramic views overlooking the city of Picasso, Xavi and Montserrat Caballé—IFS World Conference 2013 offers delegates an unforgettable social and cultural experience as well as clear business benefits. Situated in the cultural and architectural powerhouse of Barcelona, IFS World Conference 2013 will be a uniquely entertaining and culturally rich gathering. The IFS Party is an unforgettable evening of high-class entertainment featuring international celebrities and a warm, vibrant atmosphere with the best of food, wine and company. The Conference affords delegates a unique opportunity to meet with senior IFS executives. Offering special insights into revealing success stories, upcoming trends and new possibilities for IFS applications, this is a chance to share quality time with the business architects of the systems that manage your business. With presentations, breakout sessions and plenty of expert demos IFS World Conference 2013 will provide you inspiring stories as well as the chance to get expert advice on how best to adapt IFS systems and products to further improve your business. During 2012-13 a whole suite of applications from IFS has matured and started to deliver significant results: IFS Applications 8, IFS mobile solutions and IFS Touch Apps. IFS World Conference 2013 will be your chance to learn about and interact with all of them. Over 25 major IFS partners will inspire you with their solutions for generating growth and efficiency in combination with IFS Applications. I hope you can make it. Visit the IFS World Conference 2013 website for more information as well as how to register. 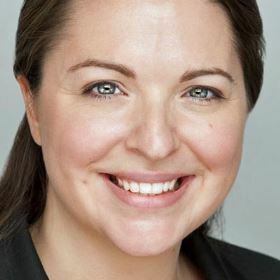 Kerry is the former Vice President - Global Campaigns and Digital Media at IFS.